Home/Tambo Updates/Head to Tambo for a school holiday Outback adventure! Are you heading to the Outback these school holidays? Well , Tambo is a must stop! We might be a tiny town, but we have plenty to see and do for all the family. There is FREE camping at Stubby Bend, you can set up camp on the banks of the mighty Barcoo, a great spot to have a camp fire, toast a few marshmallows, experience the bush, see the stars and breathe fresh, clean air. From Stubby Bend it is just a short walk into town or you could take the family for a stroll along the Coolibah Walk, approximately 3kms along the river, to burn up some of the extra energy. If fishing is your thing you can try your luck for a yellow belly at Garden Hole, a short walk on from the Qantas crash site memorial. On the edge of town, the Tam Dam is another great recreational spot, have a picnic under the shady trees, use the exercise equipment, watch pelicans, swans and other feathered friend or just keep walking. Tambo is the friendliest town and the friendly staff at the Visitor Information Centre will happily give you a great little booklet on Tambo’s Heritage Walk, which will guide you around the town on a short history lesson. Th VIC is also the library and you might just chance a kids craft session or even let them hang out here for a while in the youth centre while you enjoy a peaceful coffee at the café. Across the road is the town’s Heritage Precinct, where welcoming volunteers are ready to chat and show you through. As the oldest town, Tambo was the main post and telegraph services for the wider outback region and you can learn all about the morse code and even have a go! Get the kids to see if the can message as quickly as they can text! Of course, while you are checking out the town a must stop is TAMBO TEDDIES! The bears are lined up and ready to hit the highway with you, a quick cuddle will give you the road test you need to find your family’s travelling companion. Tambo has great eateries for lunch and dinner and you must stay in town for the CHICKEN RACING – 5.15pm every day at the Royal Carrangarra Hotel. 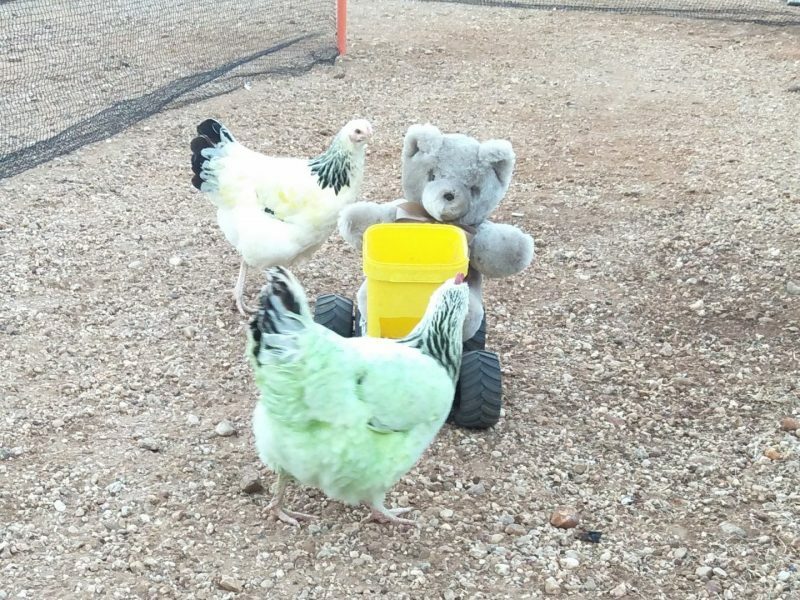 The chickens might have Tambo Ted a bit nervous that he might be for dinner, but don’t miss out, Chicken Racing is taking Tambo by storm, pick a chick and join in the best holiday fun!